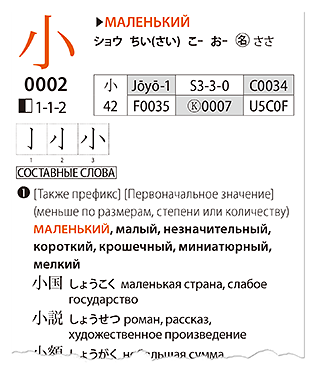 To satisfy the urgent need for high-quality Japanese study materials in non-English languages, The CJK Dictionary Institute has embarked on a project to create a series of foreign language editions of The Kodansha Kanji Learner's Dictionary, the most successful kanji learner’s dictionary ever published. 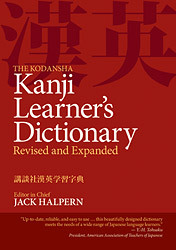 The Kanji Learner's Dictionary Series, or KLD Series for short, offers this standard reference work in the major languages of the world, with particular focus on languages used in countries that have a large number of Japanese language learners. Currently the following 12 languages are covered. You can read an introduction (in that language) and see sample pages at the links below. Each dictionary in the series covers in-depth the 1,006 basic kanji that are taught to Japanese schoolchildren in their six years of elementary school as prescribed by the Japanese Ministry of Education. The KLD Series incorporates all the features that have earned the original an excellent reputation among scholars, educators, and learners throughout the world. 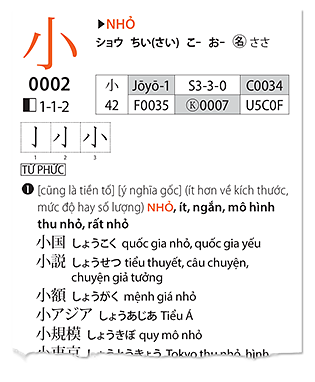 Modern linguistic theory and sophisticated information technology have been effectively integrated to produce a series of kanji dictionaries that serve as a powerful, easy to use tool for learners and convenient source of reference for educators. The English source edition upon which the KLD Series is based is the product of rigorous lexicographic research and precise compilation methodology. The goal was to record usage as it actually occurs in the living language, not to report the results of previous works, as is often the case with traditional kanji dictionaries. To ensure accuracy and clarity, each meaning was written afresh on the basis of an exhaustive semantic analysis. These efforts were recognized by Japanese-language authorities in both the U.S. and Japan, who have confirmed its scholarly accuracy and lent their enthusiastic support. Similarly, each dictionary of the KLD series is being compiled by leveraging the most recent advances in pedagogical lexicography and digital publishing technology, ensuring a high level of accuracy, the consistent implementation of editorial policy, and a superb, esthetically pleasing design. A special effort was made to select the chief editor for each language, resulting in a team of highly educated native speaker editors that translate the dictionary following strict guidelines to guarantee the highest possible quality. Thanks to these features, Japanese learners around the globe have at their fingertips a wealth of information on kanji that is linguistically accurate, easy to use, and carefully adapted to their practical needs.